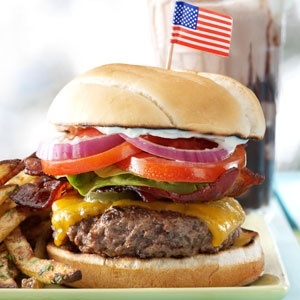 BRIGHTON, Mich.- It's been coined the unofficial start of summer, and one popular way to celebrate the holiday is to host or attend a barbecue. With our unpredictable Michigan weather, we never know if we're going to be able to spend the day outdoors, but that doesn't mean we can't still whip up some festive treats. Spice up your weekend celebration with our Memorial Day BBQ Ideas! You can't go wrong when you stick with red, white, and blue. Add some festive flair to your Memorial Day celebration by incorporating these signature colors into your decor, snacks, and dessert. 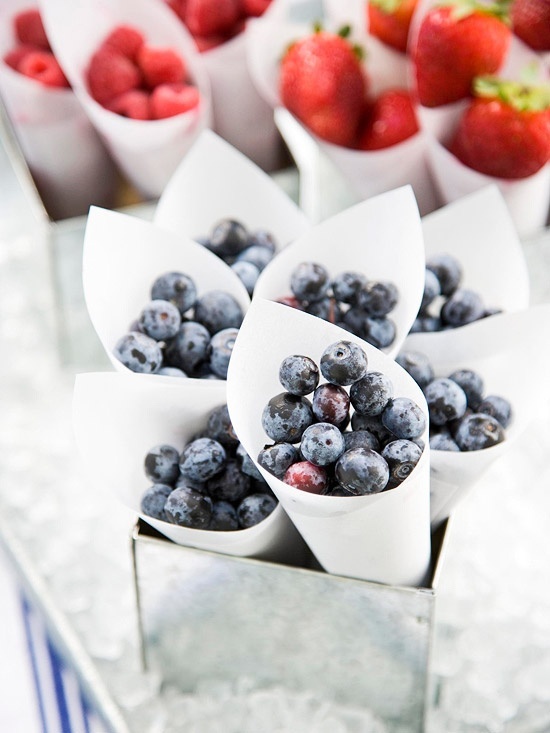 There are so many fresh red and blue fruits available this time of year, and you can make them easy for guests to enjoy by serving them in white cone. Plus, this doubles as a healthy refreshing treat that everyone will love! 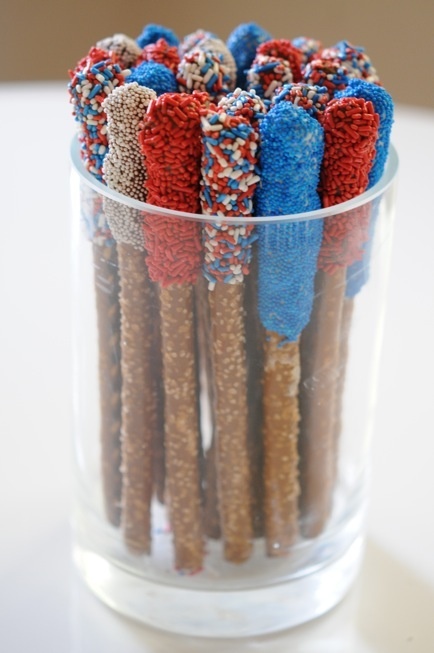 For a snack with a little more crunch, chocolate covered pretzels are a festive and tasty option. All you need are pretzels, white chocolate, and your choice of sprinkles! Serving them up in a tall glass makes for a fun centerpiece too! It's not a barbecue without a hamburger, so add your signature recipe to the menu. Or, if you're looking for something new to try, look no further than Pinterest where you're sure to find a mouth-watering recipe! Let's not forget about the best part, Memorial Day dessert! 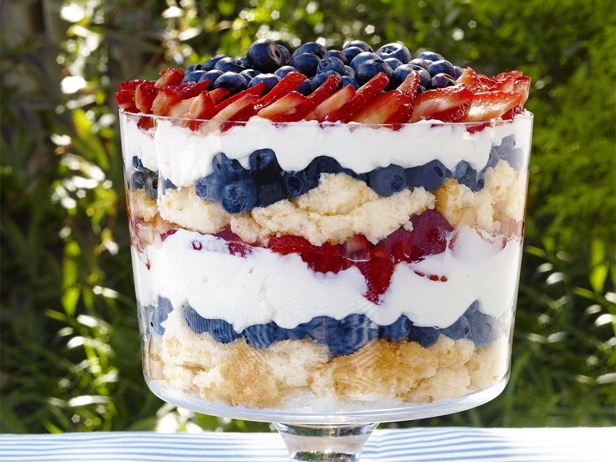 The opportunities are endless with fresh fruit, sprinkles, and icing, but this Patriotic Berry Trifle looked too good to pass up. And don't forget, you can always put your own spin on a recipe so don't be afraid to mix it up! As far as decorations, wave your American flag proud! 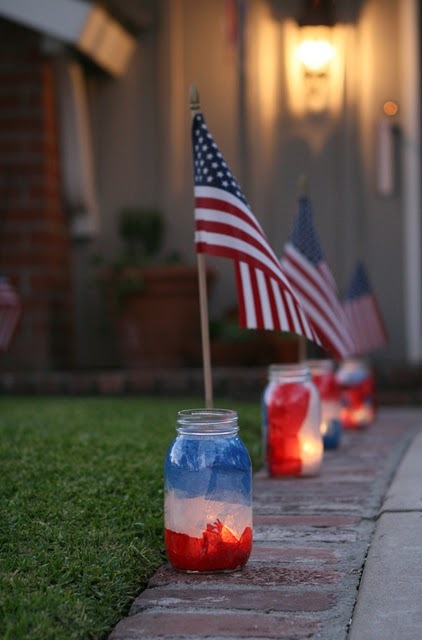 Whether you have a statement flag pole or want to add smaller flags like these mason jar luminaries, it's definitely the best decor piece for Memorial Day. If you're headed on a weekend getaway for the holiday, don't forget to check out our Memorial Day Weekend Safe Driving Tips to stay safe on the congested roadways. Or, if you're spending your weekend shopping for a new vehicle, don't forget that we have a huge inventory of New Ford Trucks and New Ford Cars, as well as Low Mileage Used Cars! Brighton Ford is located at 8240 Grand River Ave. just north of I-96 in Brighton. We are a family owned and operated business that strives for customer satisfaction. For more information on Brighton Ford visit BrightonFord.com or give us a call at (800) 836-8206.